A .pro domain name reflects the professional nature of a business, and makes it instantly clear to the user that the company is credible. For businesses operating in an area of expertise, a .pro domain name indicates the expert knowledge of the company. What's more, if the company's desired domain name is not available with a .com extension, chances are it will be available with a .pro domain. Making the switch to a .pro is not hard, all you have to do is register a .pro domain with 1&1 IONOS and then buy your desired domain name. For professionals, this domain is the perfect representation of your know-how and experience. When choosing a domain name for your website it is important to consider how the domain name relates to the brand name. Ideally both should be the same, and the extension (.com, or .pro) should complement the overall online identity. Switching from .com to .pro will change the branding of a website; it will look and sound different. A .pro domain will reinvent a brand name and make it sound more professional. For example, topcars.pro sounds more interesting than the average topcars.com domain name. Buying a .pro domain could boost your brand name - see the effects for yourself and buy a .pro domain from 1&1 IONOS. How do I switch from a .com to a .pro domain? Switching from a regular .com domain to a new .pro domain is simple with 1&1 IONOS. All you have to do is follow a few steps. First, request an authorization code from your current web hosting provider, you will need this code to make changes to your domain. 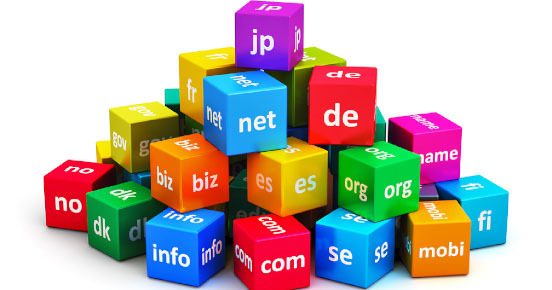 Next, choose a domain name to go with your .pro domain extension. Remember, the domain name and the .pro extension should complement each other. Once you have chosen your domain name you will have to find out if it is available using the free domain checker from 1&1 IONOS. Lastly, enter the domain authorization code and click the 'move domain' button. After you have done that you will be able to transfer your existing domain to a .pro domain from 1&1 IONOS. Don't forget to backup all your files and data before making the transfer, and remember 1&1 IONOS is here to help if you run into any problems along the way. What happens if my .pro domain isn't available? So you have found the perfect domain for your website but discovered it is not available? Unfortunately this happens sometimes, even with a new top-level domain like .pro. It is still more likely that your domain name will be available with a .pro extension than a .com extension, but it is not guaranteed. 1&1 IONOS understands that this is frustrating, which is why 1&1 IONOS will help you find an alternative that is as close as possible to the original. This is why it is a good idea to be flexible when choosing your domain name, and to prepare a few different options in case your first choice isn't available. Because using a domain that is already being used by an existing company could cause legal issues, 1&1 IONOS has created the domain checker to protect the reputation and future of your company, and ensure you do not use another business's domain name.